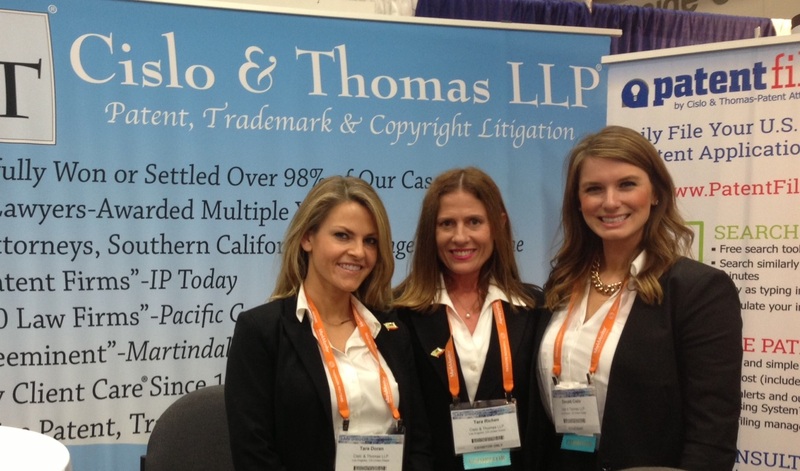 From Left to Right: Daniel M. Cislo, Esq., Tara Doran, Tara Richen, Donald M. Cislo, Esq. – An application can contain up to 100 different industrial designs. – The application is filed in one language with one set of fees at one location, either directly through the World Intellectual Property Organization (“WIPO”) or indirectly through the USPTO. – Upon filing, the International Bureau of WIPO verifies that the necessary formal requirements are met and, if fulfilled, the application is given a filing date. – Usually, the application is published 6 months after the filing date. – Then, designated jurisdictions review the application to determine whether protection should be afforded based on their individual national laws. – If, in turn, National IP Offices grant said applications, registrants in effect receive national protection. – A company need only docket one (1) renewal deadline. – Domestically, design patents filed on or after May 13, 2015 will be entitled to a 15-year (as opposed to 14-year) term from issuance. – Color drawings and photographs no longer require a petition and fee. – Internationally, an applicant can seek design protection in multiple jurisdictions with a single application. Until now, U.S. applicants pursuing protection for industrial designs in multiple jurisdictions filed individual applications for each jurisdiction. The Hague system, on the other hand, manages international registration centrally. – There are a total of 49 contracting parties (covering 64 territories) to the Hague Agreement, including the European Union, the African Intellectual Property Organization, Japan, Norway, Switzerland, and the Republic of Korea. – The new system provides for potential cost savings and centralized management. – Currently, U.S. design applications are not eligible for provisional rights because they are not published. International design applications filed in the Hague System, however, are typically published six months after the filing date and an applicant can even request immediate publication. Therefore, a company can obtain provisional rights for an industrial design by filing an international design application. The United States Patent and Trademark Office (“USPTO”) has announced that it has released a free Patent Application Alert Service, which alerts the public when patent applications of interest are published. The system provides customized email alerts, offers direct access to the published applications through a search portal, and allows the public to identify prior art for “pre-issuance” submissions into the published applications. For more information about how to participate in the pre-issuance submission program click here. Readers of this newsletter are familiar with the issues of Patent Trolls and Patent Troll Legislation. Google has responded to the problem by launching its newest addition to the Google Patent Programs: An experimental marketplace named Patent Purchase Promotion is in essence an attempt to beat patent trolls to the punch. The marketplace offers patent owners, or those with equivalent rights, the opportunity to sell their patents to Google while retaining licenses to use their own inventions for the life of the patent. Google opened a streamlined portal May 8-15, 2015, in which patent holders submitted information and prices for the patents they were willing to sell. Google promises to let submitters know which patents it wants to buy by the end of June and pay for them by late August. Participants were limited to one patent per submission and Google will not buy any foreign assets or applications. Google says its intention with this program is to remove friction from the marketplace by letting Google do the buying. Google hopes this process allows for quick evaluations and responses, resulting in fewer complications and better experiences in the patent selling process. Currently, the patent marketplace doesn’t offer many options for sellers, often leading them to work with patent trolls, from whom the entire industry suffers. Google is making a bet that not only it, but the entire industry, will save time and money if it can get to the patents first. If you consider selling a patent to Google, make sure you hire a trustworthy attorney to read the contract and advise you through the process. The Chinese government took a number of important steps in 2014 that could make it an important hub for green innovation in upcoming years. Chinese Premier Li Keiqiang declared a “war on pollution,” including a set of goals to reach by 2018 and a number of financial incentives to go with them. This anti-pollution drive makes China a good place for clean inventive energy firms and startups to achieve scale. The Premier pledged $800 billion to this effort, which augments approximately $900 million in annual venture capital investment and $1 billion in private equity. This money will go toward stimuli for manufacturers to upgrade their plants and promotions of green and low-carbon technology. Clean technology startups and investors are also vying for a piece of that $800 billion pie. China directs funds toward clean energy companies, and has now taken a turn away from its protectionist patterns by opening up its energy conservation and environment protection industries to foreign and private investment. Though this policy comes with limitations, it signals a new willingness to work with the international community. Private equity investment in the environmental sector continues to grow and China’s State Council aims for the industry to grow to $730.5 billion by the end of this year. There is already news of early success stories: Durham, North Carolina-based Phononic Devices received an investment from a Beijing-based VC firm, Tsing Capital. Bill Gates teamed up with California VC firm Khosla Ventures and Chinese carmaker FAW Group to build a factory in Shanxi that will produce 100,000 new, two-stroke engines a year, which are 45% more fuel-efficient than commonly used four-stroke engines and will be made for diesel, gasoline, and methanol. The Dutch dust-control company Wuvio, a recent China arrival, consults with construction companies and transportation firms across the country. Texas-incorporated battery company Microvast joined with local bus companies to pilot lithium titanate batteries, which last up to ten times longer than lithium alone and take only 10 minutes to charge. In the midst of such exciting news, it is important to remain aware of some of the downsides for IP amongst these developments. The above-mentioned financial incentives are limited to companies that fit within and benefit China’s prescribed corporate ecosystem. An example of this is Tesla Motor’s recent arrival in China. This American electric-car firm, with cutting-edge clean technology, has no benefit from potential subsidies and tax breaks because its model of importing vehicles does not enrich Chinese firms or transfer intellectual property to local ventures. The Trans-Pacific Partnership (TPP) is a trade agreement between the United States, Canada, Mexico, and nations on the Pacific Rim. The TPP will provide new market access and regulations, especially for small- and medium-sized businesses. If ratified, the pact will govern about 40 percent of the world’s gross domestic product and one-third of world trade. The trade agreement has been compared to the North American Free Trade Agreement (NAFTA). Negotiations are ongoing, but current drafts of the agreement have drawn mixed reviews from intellectual property and environmental experts. According to a report published by trade ministers participating in the negotiations, intellectual property has provided one of the most complex and challenging areas of debate in discussions so far. Some parties hold fast to high levels of IP protection, while others emphasize access to ideas. Participants are still working toward a common approach and have suggested that fair use of online content in a digital environment is one of the most contentious areas of debate. Additionally, the current draft of the environmental chapter of this agreement has drawn unwelcome criticism. Leading green groups such as the Sierra Club, the Natural Resources Defense Council, and WWF claim that the current draft actually rolls back the progress made in past free-trade pacts. Among other issues, they mainly voiced concern that the pact currently lacks basic environmental provisions. The White House responded that they are working toward a robust, fully enforceable environment chapter. The holding for In re Cipro Cases I & II, Case No. S198616 (May 7, 2015) established that just because a patent has a definite term does not mean that settlement agreements that include covenants not to sue do not have anti-trust issues. 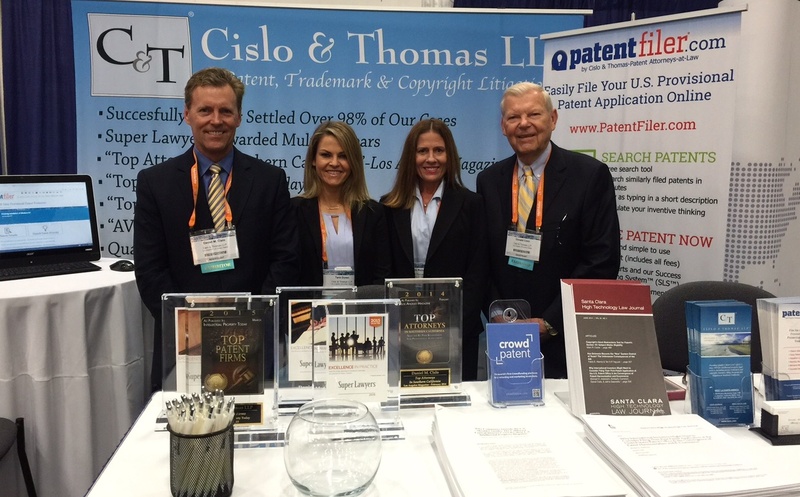 The California Supreme Court held that the trial court and court of appeals erred in applying a “scope of the patent” test because the test presumes that the patent at issue is valid and that the remaining patent term is the relevant benchmark that results in no anticompetitive effects. The case involved a U.S. patent on the active ingredient in Cipro, ciprofloxacin hydrochloride, issued to Bayer in 1987. Barr Laboratories, Inc., filed an application to market a generic version of Cipro in 1991, which was twelve years before the expiration of the patent. Consequently, Bayer sued Barr for patent infringement and Barr counterclaimed for a declaratory judgment that the Cipro patent was invalid. Bayer and Barr were able to settle the case in 1997, wherein Barr agreed to drop its patent challenge and postpone marketing a generic version of Cipro until the Bayer patent expired while Bayer agreed to pay almost $400 million to Barr for the duration of the patent. California consumers sued Bayer and Barr for allegedly violating the Cartwright Act, which covers unfair competition and antitrust law, based on the settlement agreement that splits the monopoly profits between Bayer and Barr at the expense of the consumers. The trial court granted summary judgment in favor of Bayer and Barr under the theory that the patent had a set time limit, competition was not restrained, and thus, the Cartwright Act was not violated. The court of appeals affirmed under the theory that patent law carves out an exception to unfair competition unless the patent was procured by fraud or the suit to enforce it was objectively baseless. The California Supreme Court reversed the lower courts’ holding because the court of appeals erroneously applied the so-called “scope of the patent” test that the U.S. Supreme Court addressed in Federal Trade Commission v. Actavis, Inc., 133 S.Ct. 2223 (2013). In Actavis, the Court rejected the foundational presumption for the scope of the patent test, which presumed the challenged patent was valid and was infringed. The Supreme Court explained that the scope of the patent test accorded patent law policies excess weight considerations while weakening that of antitrust law. In re Cipro, the court concluded that in order to successfully challenge a reverse payment patent settlement, all of the following four elements must be met: (1) the settlement included a limit on the settling generic manufacturer’s entry into the market; (2) the settlement included case or equivalent financial consideration flow from the brand manufacturer to the generic manufacturer; (3) the consideration exceeds the value of any other collateral products or services provided by the generic to the brand; and (4) the consideration exceeds the brand’s expected remaining litigation costs absent settlement. If all four elements are met, a trial court weighs the anticompetitive effects against any purported justifications for the changed restraint in which the manufacturers have the shifted burden to offer legitimate justifications that the settlement is not anticompetitive. Finally, the burden then shifts to the third-party plaintiffs to demonstrate that the justifications are unsupported. In future litigation relating to reverse payment patent settlements, the key issue to consider is whether the settlement included a large one-sided and unjustified payment, inferring a profit-sharing arrangement to avoid the risk of competition. On remand from the Supreme Court, the Federal Circuit panel held that 35 U.S.C. 271(a) incorporates no joint tortfeasor liability principles and that indirect infringement liability must be based on a 35 U.S.C. 271(a) direct infringement by a single entity. Akamai Technologies, Inc. v. Limelight Networks, Inc., Fed. Cir., No. 2009-1372, 5/13/2015. However, Judge Moore dissented in a 36-page opinion that criticized the majority decision because it consequently leaves a “gaping hole” for the rights of enforcing method patents. The two opinions analyzed the same statutory language, as well as case law and the applicability of the common law principles, and resulted in starkly opposite conclusions. The majority opinion held that in cases where multiple parties, outside of an agency or contractual relationship, are involved in practicing steps that add up to form the whole of method claim in a patent, liability is precluded. The Supreme Court in the June 2014 Akamai v. Limelightunanimously held that the Federal Circuit’s 2012 en bancruling erred by creating inconsistent definitions of infringement for direct and indirect infringement. However, the Supreme Court declined to address whether to overturn the single-entity rule and create an infringement definition recognizing joint liability. On remand, Judge Linn wrote for the majority and conduced that “the statutory framework of 35 USC 271 does not admit to the sweeping notions of common-law tort liability argued in this case.” Akamai Technologies, Inc. v. Limelight Networks, Inc., Fed. Cir., No. 2009-1372, 5/13/2015, p. 5. In the dissent, Judge Moore argued that the “single entity rule” represented a “judicial fiction which upsets the settled expectations of the inventing and business communities.” Id. at p. 33. This latest decision by the Federal Circuit is only one of many attempts in many years to possibly change infringement law regarding “joint infringement” in particular. Akamai has already announced that it intends to seek the Federal Circuit’s en banc review of this opinion and possibly even take this issue to the Supreme Court. Regarding ongoing parallel United States Patent and Trademark Office (“USPTO”) administrative proceedings and in-court infringement proceedings, the Federal Circuit held that if the Federal Circuit had construed a limitation for a particular patent, a reissue of that patent with an additional claim that broadens the scope cannot change the scope of the original patent. ArcelorMittal v. AK Steel, __ F.3d __ (Fed. Cir. May 12, 2015). The district court held that the reissued patent was impermissibly broadening. The Federal Circuit affirmed this for claims 1-23 because the addition of claim 23 was not “new evidence” that may permit revising the interpretation of the original claim under either law-of-the-case or the mandate rule. The law-of-the-case doctrine “posits that when a court decides upon a rule of law, that decision should continue to govern the same issues in subsequent stages in the same case.” Id. at 6. The mandate rule states “a court may only deviate from a decision in a prior appeal if ‘extraordinary circumstances’ exist.” Id. The proper analysis for finding a broadening reissue is if the claims of the reissued patent are broader than those same claims as found in the original patent. However, because invalidity due to impermissible broadening must be evaluated on a claim-by-claim basis, the Federal Circuit reversed the holding for claims 24 and 25 because it had the same scope as the original claim 1 and so no broadening occurred. With multiple venues for patent enforcement and challenges, there will be more cases like ArecelorMittal that will test the metes and bounds of the law-of-the-case doctrine and the mandate rule.